Recurrent political debates about public finance often include exaggerated accusations of “austerity” when a government decides to reduce spending. Though the language of “imposing austerity” has found its greatest use in Europe, it is also found in North America and Atlantic Canada. But all reductions on government spending do not amount to austerity. Austerity means significant reduction in spending and the removal of programs and services that are no longer affordable. 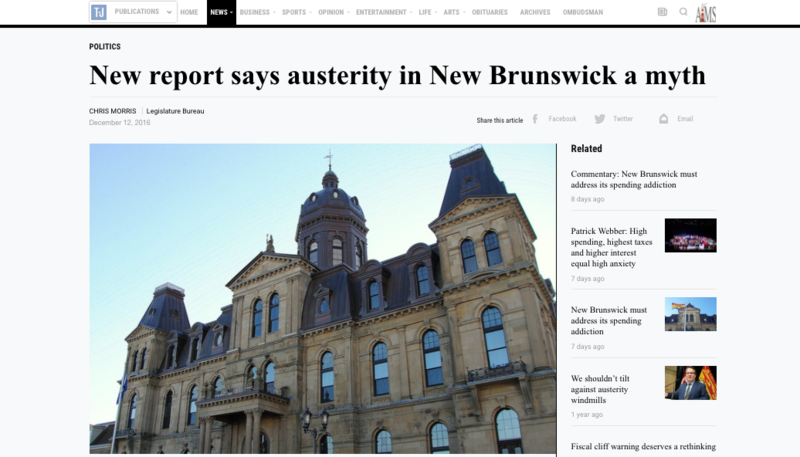 Measuring Austerity in Atlantic Canada investigates whether the use of the term austerity in the context of Atlantic Canada’s public finance is accurate. The author examines public accounts data from the four provinces, adjusting for inflation, to determine the annual amount of program expenditure in absolute and per capita terms. He also calculates the relative increase or decrease in spending from year to year, establishing the trend in provincial government expenditures in Atlantic Canada. The budgets of southern European countries such as Portugal, Italy, Greece, and Spain (the so called “PIGS” nations) have experienced genuine austerity following the Great recession. These countries had to cut their government spending by up to a quarter, over as few as two fiscal years. Provincial governments in Atlantic Canada have increasingly spent more money on programs — in absolute and per capita terms — between 1980 and 2016. 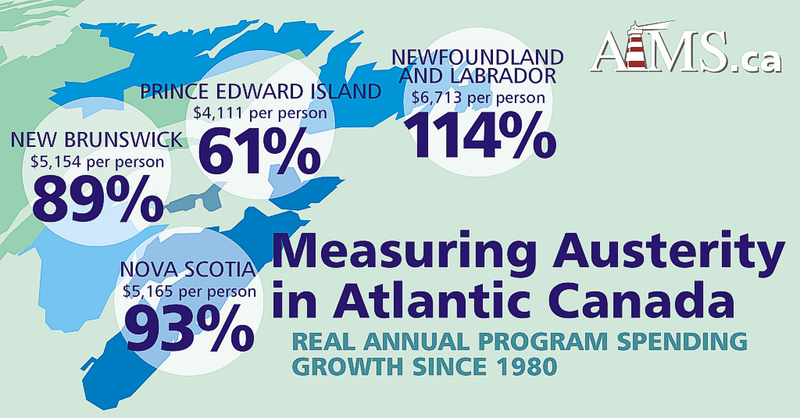 Per capita program expenditure in Newfoundland and Labrador saw the greatest increase at 113.7 percent. Prince Edward Island’s growth rate was the slowest at 61 percent over the examined period. A shifting demographic landscape in the region — notably its aging population — does not suffice to explain these significant spending increases. While the school-age population has dwindled in the four Atlantic provinces, education spending continues to grow, showing that spending increases cannot be a response to demographic changes. The report concludes that the use of the term austerity in relation to fiscal policy in the Atlantic Canadian provinces is hyperbolic, inappropriate and inaccurate. All governments spend more money than they did a generation ago, with only minor blips of restraint and no sustained or disciplined effort to cut spending significantly. The nature of Atlantic Canadian public finance, therefore, is not one of austerity but of consistent spending growth over a sustained period.